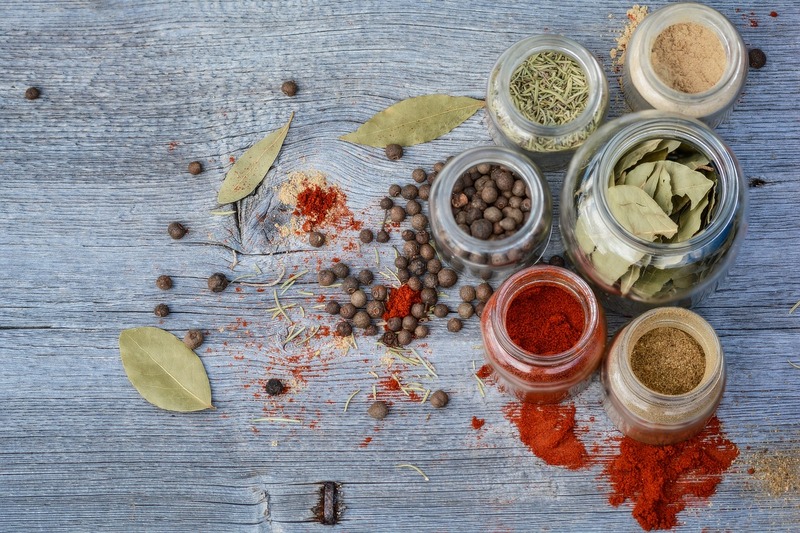 This recipe is for the Indian spice blend that is known around the globe. It is sweet, roasted and spicy in the right proportions – Curries can be fiery or delicate with a complex body. The name curry is a derivative from an Indian/Tamil word “Kari” that means sauce. Curries were originally seasoned with black and white peppercorns instead of chilies and it wasn’t until the late 1400’s that chilies came to India. Christopher Columbus discovered this spice in Mexico and bought it back to Spain and Portugal where its popularity took off. It was then taken to the rest of the world and now India is the largest producer of chilies for the rest of the world. A standard Indian curry recipe is usually made with coriander, cumin, turmeric, ginger, cloves and then pepper and chilies are added to give heat if required. In India, families have their own recipes for curry spice blend, as well for Garam Masala. Garam Masala is a spice blend with stronger and sweeter body and is typically found in Northern India.